BMW will launch a plug-in hybrid X5 next year, designed to do a higher percentage of driving on battery power than its predecessor, and previewing technology likely to go into other model lines. 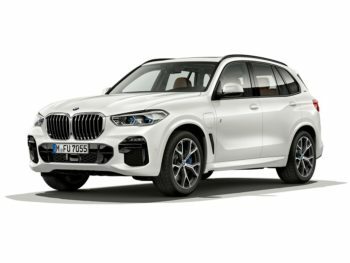 The X5 xDrive45e iPerformance features a new, higher-capacity battery than its predecessor, which significantly increases the electric range from 18 miles to a much more useable 80km. Whereas the outgoing car would switch over to the petrol engine at 120kph, the its replacement can reach 140kph just using battery power. As a result, despite moving from a 2.0-litre four-cylinder engine to a 3.0-litre, 282bhp straight-six, the new X5 will offer CO2 emissions starting at 49g/km, compared to the old one at 77g/km. It also offers a 69-litre fuel tank, which is close to the 80-litre capacity of the diesel version – unlike some BMW plug-in hybrids which feature very small fuel tanks and, ironically, a limited range once the battery miles have been used up. Although the X5 isn’t as significant a fleet car as the plug-in hybrid 3 and 5 Series, it hints that future versions of those cars could offer far more useful electric ranges than their predecessor. In turn, it would mean drivers could move away from conventional petrol or diesel cars without being as reliant on regular charging to achieve the same or better fuel economy.